Q 1. 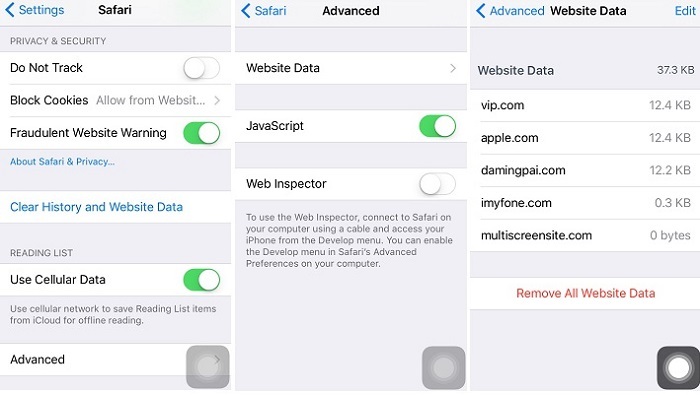 How to See Deleted Safari on My iPhone? 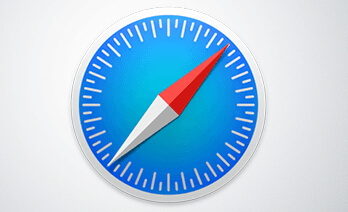 As the default browser on iOS devices and Mac computers, Safari is the most commonly used browser. It stores our browsing history, making it easy to pick up where we left off. Although browsing history is very important and useful, it is not uncommon to accidentally delete Safari history on the iPhone or iPad. 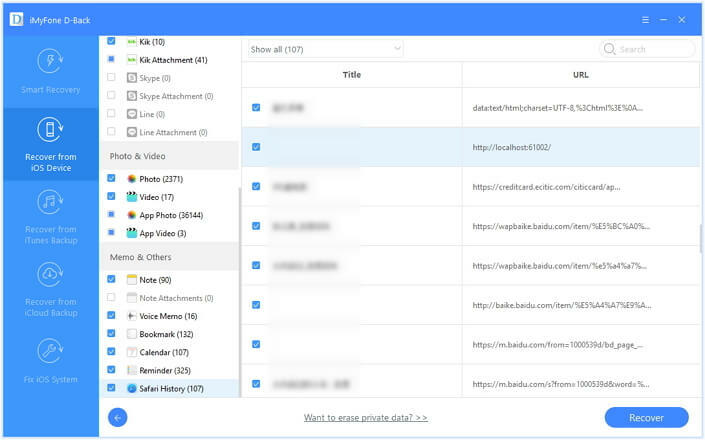 If you don't have any backup for your deleted Safari history, you can use one third-party data recovery tool to view your deleted data. 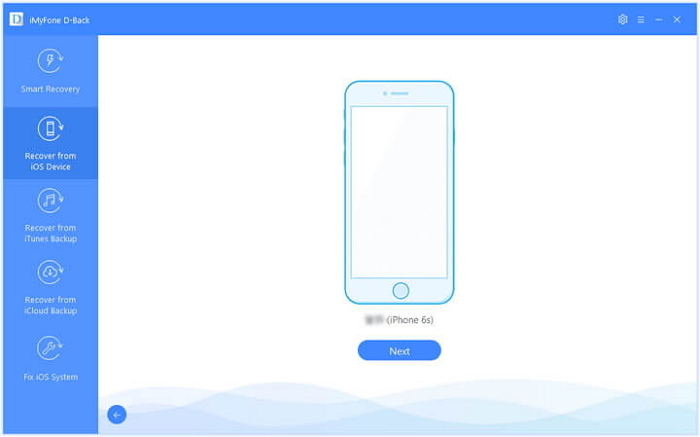 iMyFone D-Back iPhone Data Recovery is an excellent tool which can view and get deleted Safari history back easily. You can view deleted safari history from iPhone without backup. It can selectively or fully recover safari history from iPhone, iPad, or iPod touch. It can recover safari history without affecting your current data on iPhone. It will recover safari history without restoring. You are allowed to view safari history within iTunes/iCloud backup whenever you want. Run the program on your computer, click "Recover from iOS Device" and then choose the file type you need to recover after you click "Start" button. Connect your iPhone to the computer. iMyFone D-Back will detect your iPhone and ask for your permission to scan the all the Safari history on your iPhone, of course, including those deleted ones. Here we should check "Safari History". And then click "Scan". With accurate selection, iMyFone D-Back saves time by scanning only for your Safari history. Depending on the amount of data on the device, the scanning process might take some time. Note: iMyFone D-Back can scan your iPhone running iOS 12/11.3 and other earlier versions without any obstacle. After the scan, iMyFone D-Back will list all the recoverable Safari history. You can browse all of them or only the deleted ones. Then select the ones you want and click "Recover" to choose a folder on your computer to save them. iMyFone D-Back also supports to open and view iTunes/iCloud bakcups which official Apple cannot do. You might be lucky enough to find your browsing history right on your iPhone's settings. Try the following. Head to Settings from your iPhone screen. Scroll down the screen and find Safari, tap on it . At the Safari page, scroll to the bottom and tap on the Advanced option. Go to the next section and find Website Data. Tap on it and you will find some of your deleted browser history listed there. If you have backed up your iPhone to iTunes regularly, you might be able to get the deleted Safari history back by restoring the backup. Here's how. Select the backup file contains your deleted Safari history, and click the button Restore. But be warned that restoring a backup may lead to data loss as all the data on the device will be permanently replaced by the data in the backup. Anything you hadn't backed up will be overwritten. You can check your iCloud backup status by going to Settings > iCloud > Backup. To use this method, please ensure that the iCloud backup has been activated. Go to Settings → General → Reset → Erase All Content and Settings. Follow the Setup Screen instructions and then choose "Restore from an iCloud Backup." Choose an iCloud backup file to restore the device. Now you get four ways on how to view the deleted Safari history on iPhone after iOS 12/11.3 update. 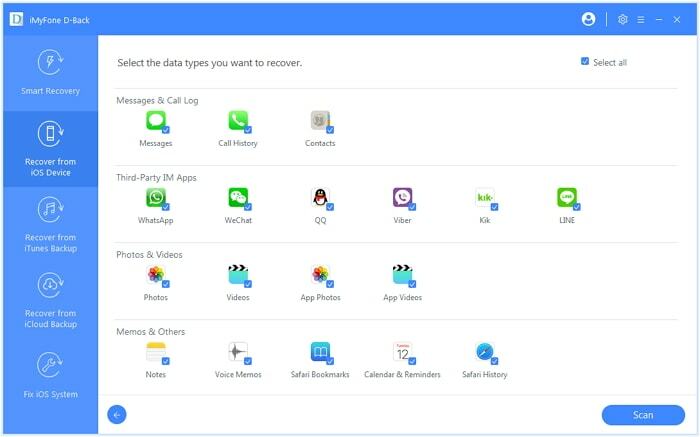 Most of them are free, even iMyFone D-Back offers the free trial version for users to confirm whether they can retrieve deleted Safari history iPhone or not. Recently some iPad users have a frequently asked question "Is there a way to recover deleted browser history on ipad after erase?". When it comes to this, you should know that although it is hard to recover, it is still worth of trying some methods to have a check. Just try them all and get the most suitable for you.